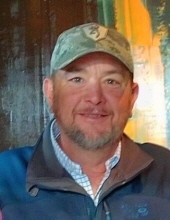 Joey Fred Hood, 51, passed away suddenly on Sunday at his home. Joey was the proud son of Joyce Grady Proctor of Grantham and the late Fred Gilmore Hood. He was a 1985 graduate of Southern Wayne High School. A lifelong farmer and trusted friend and neighbor, Joey worked from sun up to sun down on his farm, demonstrating a strong work ethic. Joey will always be remembered for his love of a good practical joke whether done to him or by him as well as his true love of family, friends, life and work. Most of all, Joey enjoyed the time he spent with his wife and son. A service to celebrate Joey’s life will be held on Thursday, November 15, 2018 at 4:00 p.m. in the chapel of Seymour Funeral Home. The family will greet friends Thursday immediately following the service at Seymour Funeral Home and other times at his home. Joey is survived by his wife of almost 30 years, Deana Daniels Hood; son, Joseph Daniel Hood; mother, Joyce H. Proctor; mother-in-law, Linda Daniels; and several other family members he loved very much. In addition to his father, he was preceded in death by his step-father, George L. Proctor. To send flowers or a remembrance gift to the family of Joey Fred Hood, please visit our Tribute Store. "Email Address" would like to share the life celebration of Joey Fred Hood. Click on the "link" to go to share a favorite memory or leave a condolence message for the family.